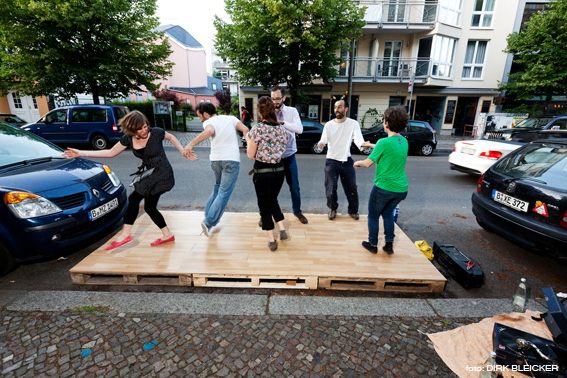 Parking spaces are for cars - at least until now. 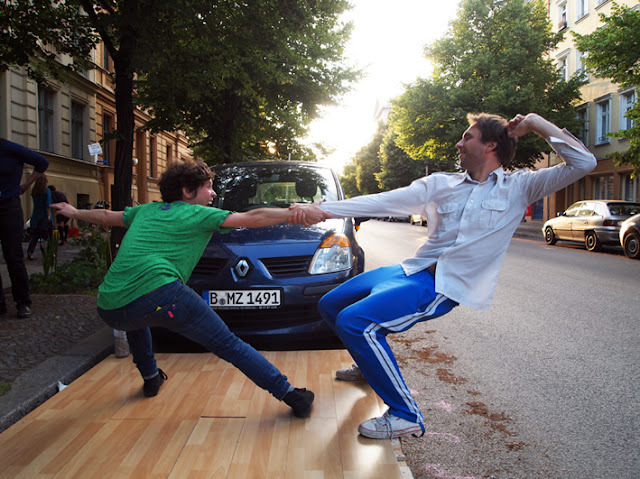 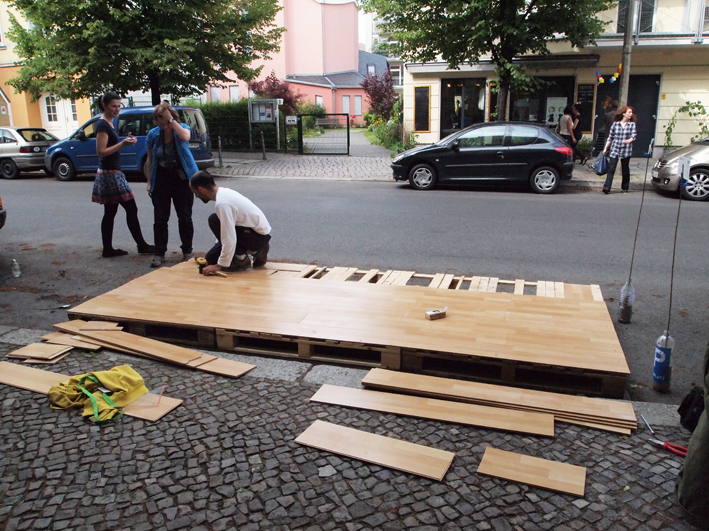 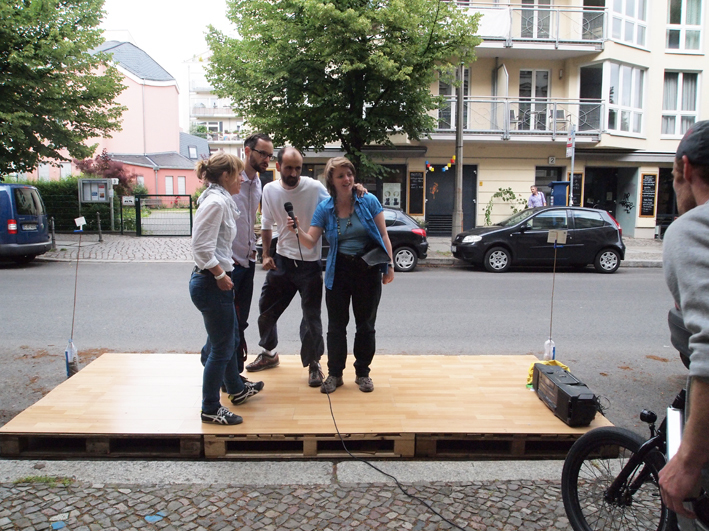 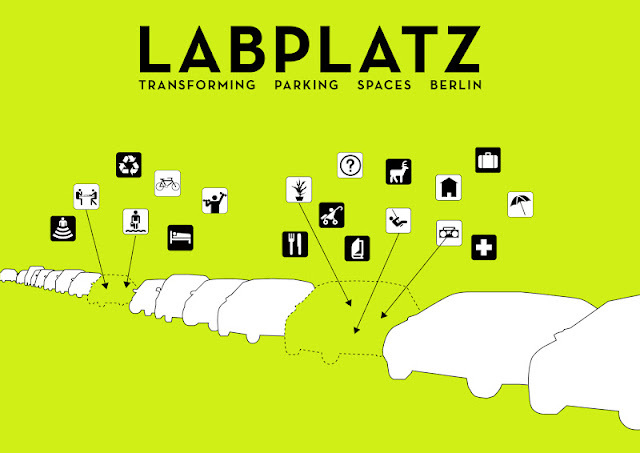 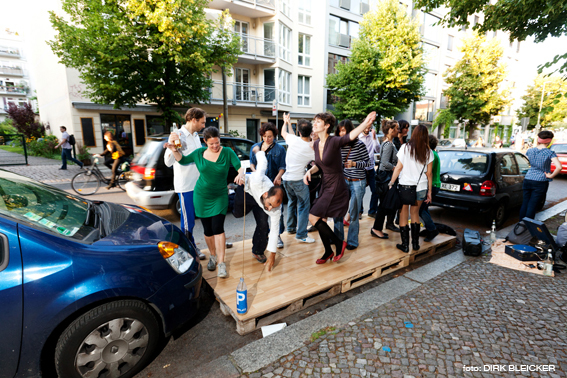 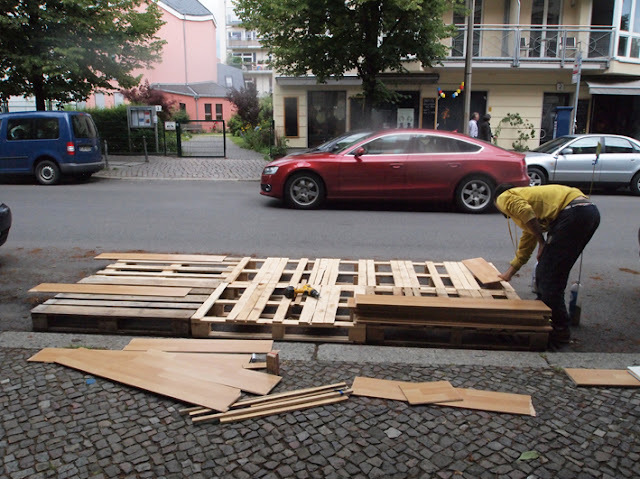 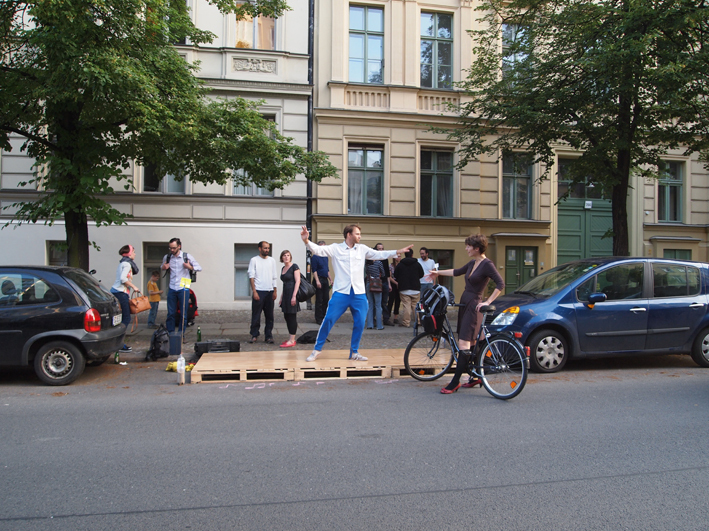 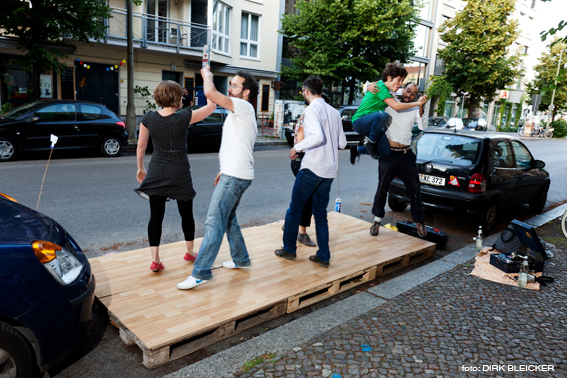 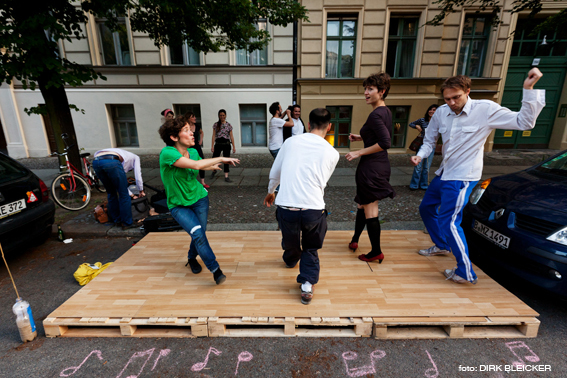 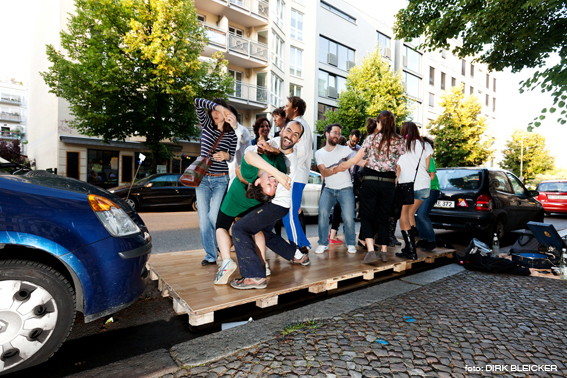 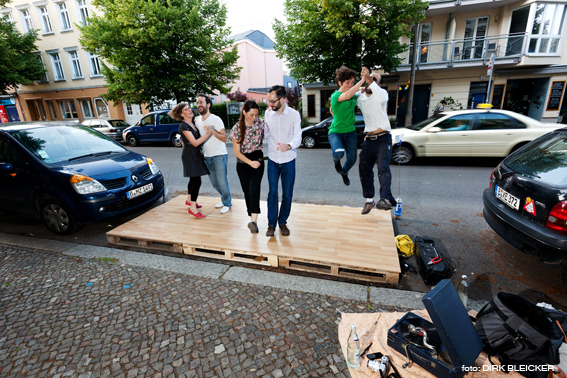 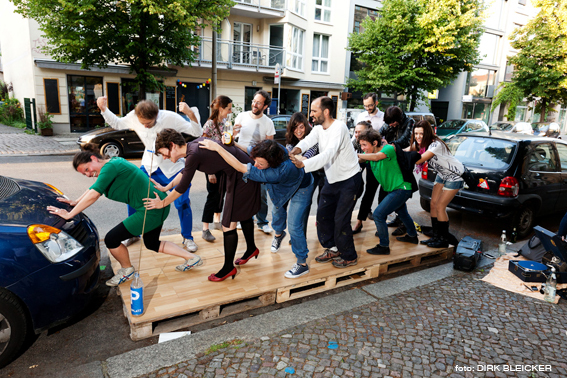 "LABPLATZ - Transforming Parking Spaces" was an event that took place on the streets near the Pfefferberg, Prenzlauer Berg, on the 28th of July. 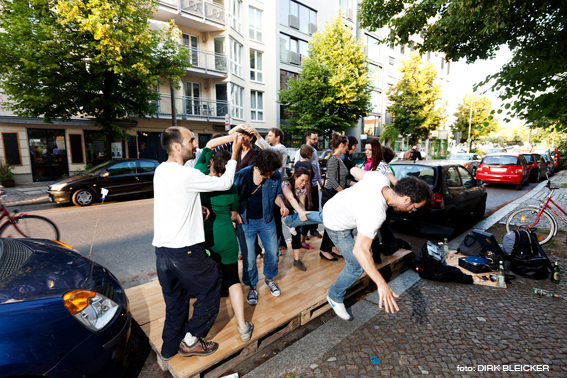 It was part of "Space for Everyone" (Rachel Smith) at the BMW Guggenheim Lab, and was organized by Rachel Smith, Stiftung Freizeit, and Kirsten Storz.